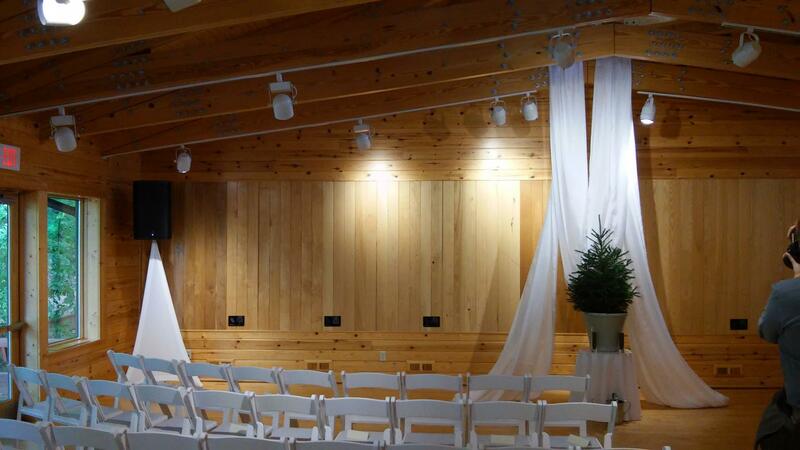 I perform in venues all over Michigan on the belief that my customers’ needs are of the utmost importance. I am committed to meeting those needs. As a result, a high percentage of my business is from repeat customers and referrals. 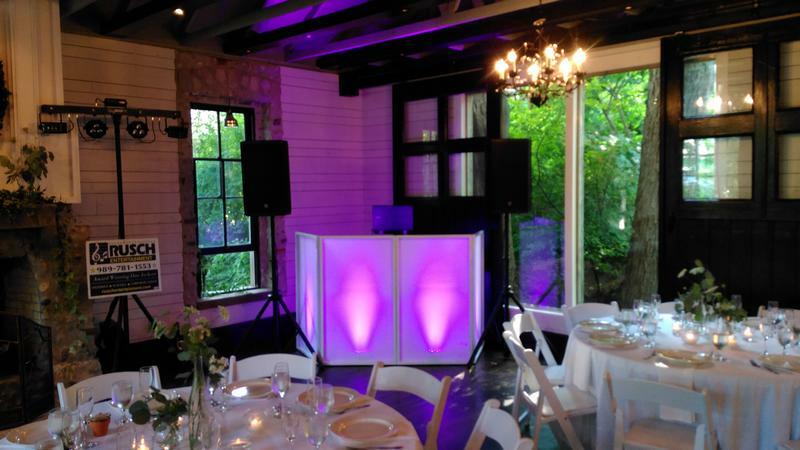 With many years of experience as a full time mobile DJ, focusing on wedding receptions! I am Fun, professional, entertaining, and most of all: I love what I do! My attention and focus will be on you and your guests. 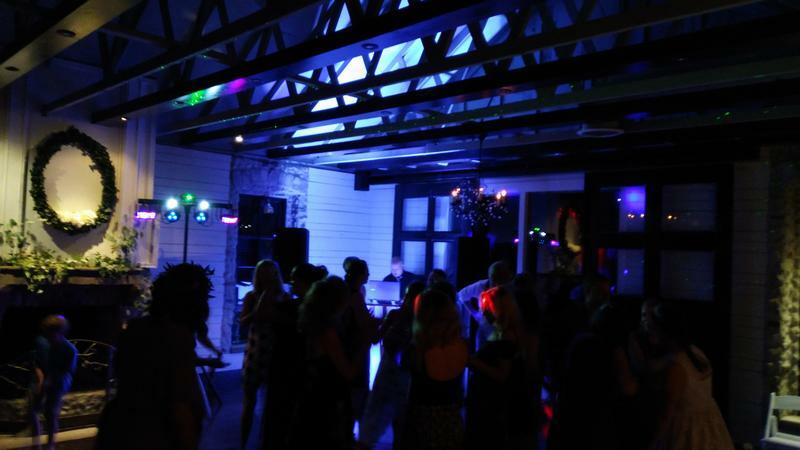 I will play what you want to hear and promise to deliver an exciting and memorable night you will never forget! 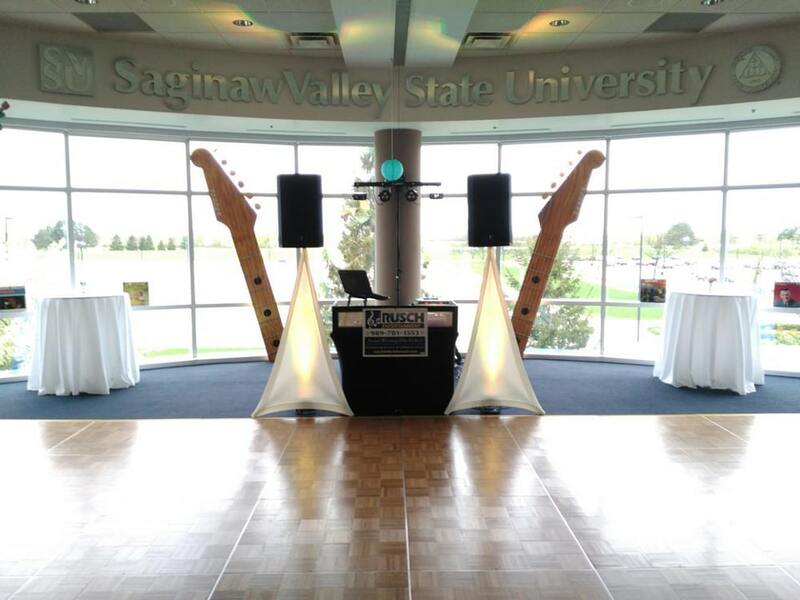 SVSU Curtiss Hall - DJ Ben ... rocks the proms! CLICK HERE for a gallery of additional pictures! Just wanted to let you know that Ben did a terrific show last night. I’ll get feedback from the kids on Monday, but the adults were very pleased. Thanks for helping us out short notice. 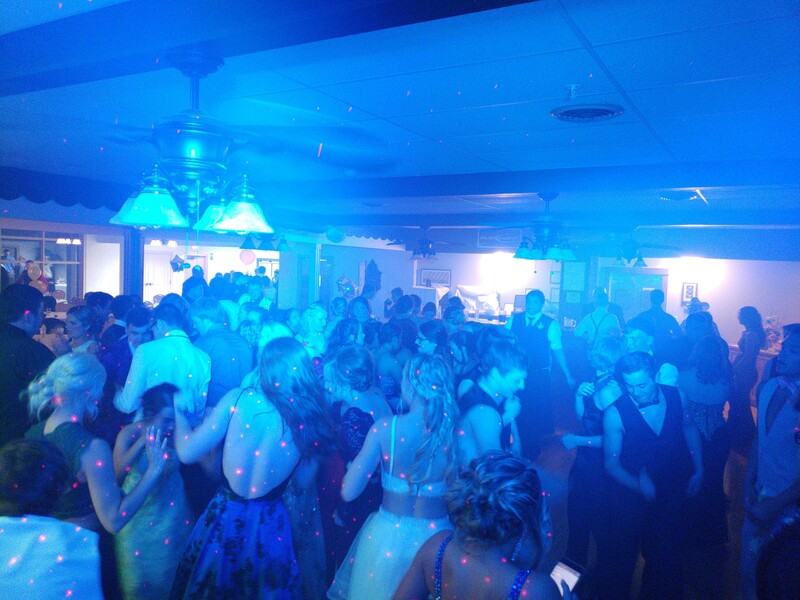 We will definitely use your services for future dances. Good morning, I just wanted to email my feedback about my experience with your company. You all did an amazing job for our wedding! There was a slight hiccup with communication at first, but you did not disappoint. 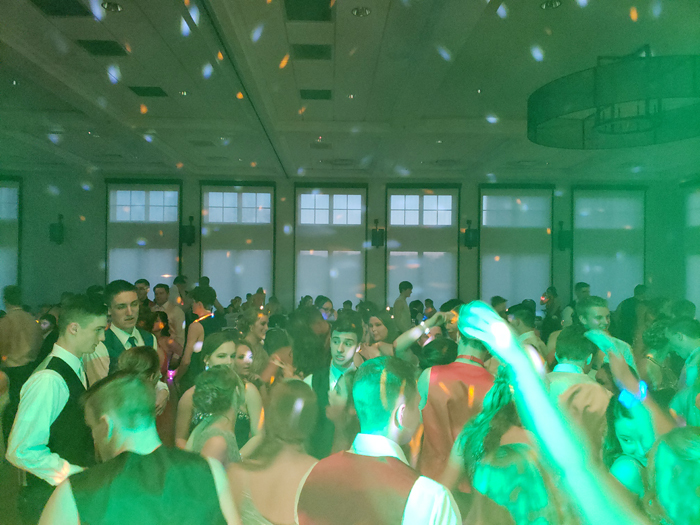 The DJ, Ben, was very adamant about making our day perfect and he did everything in his power to do that. He helped keep the day on schedule, keep guests entertained, and he even took photos and videos of events during the reception. 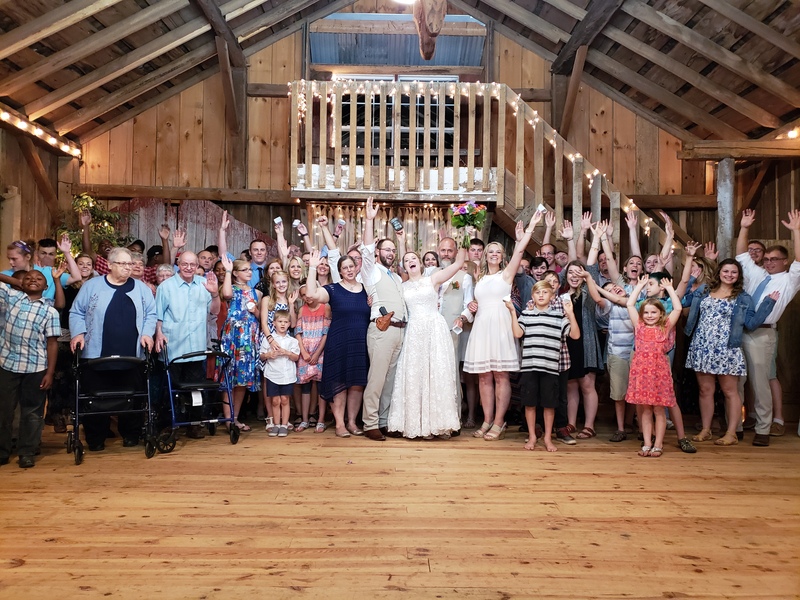 I want to thank you and Ben for making our day amazing at King’s Court Castle at Canterbury Village. Thank you! 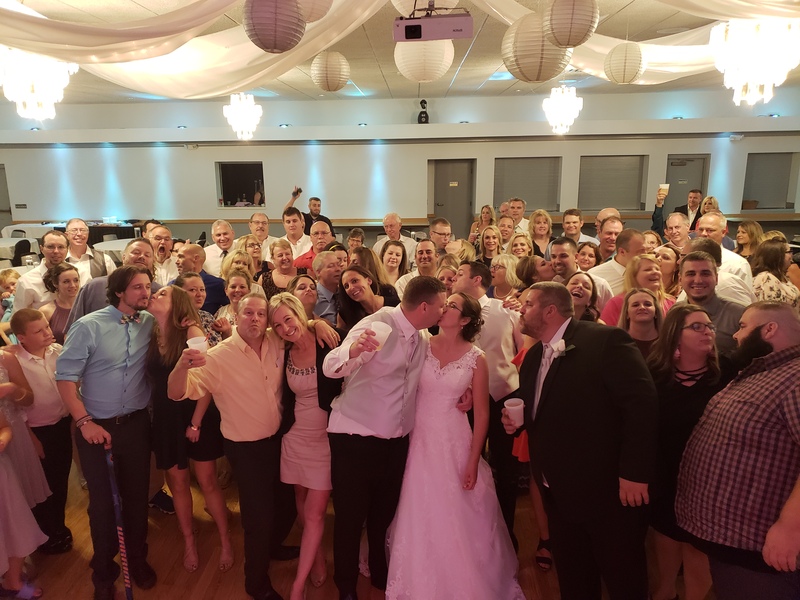 Angela & Quintin Turner – We had About 175 Guests! 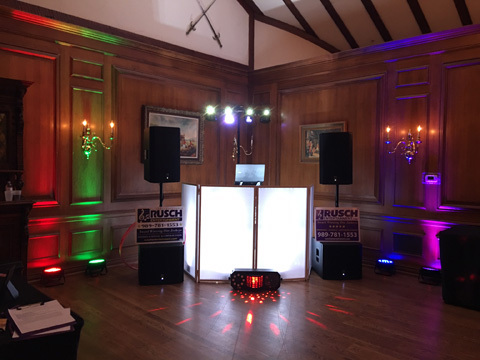 We booked DJ Ben from Rusch Entertainment and he made our ceremony and reception everything we could have asked for. 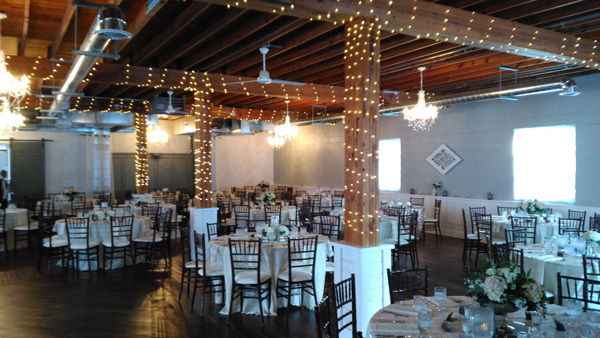 His service started much before our wedding day as he was able to council us on what would work best with our timeline for the day as well as our planned layout for the reception. After all we were getting married for the first time and he’d done this many, many times and did everything he could to share his experience with us. He was very kind hearted and made sure that we made time to take in the day as a new couple and enjoy every moment. 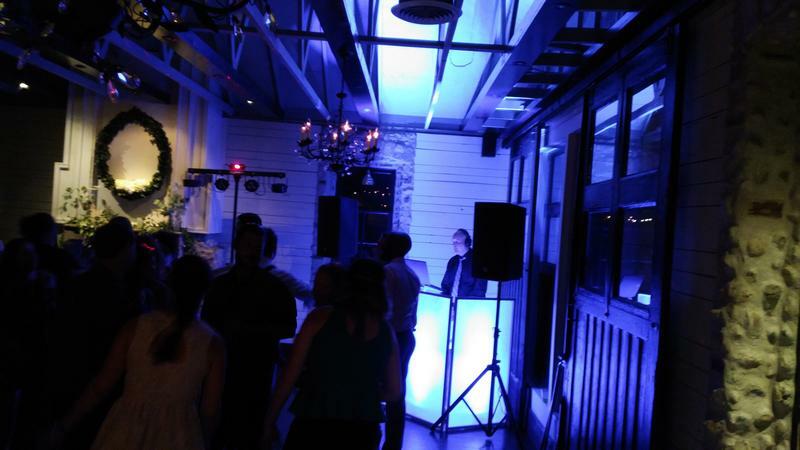 We had a outdoor wedding along the water and he was able to make the music match the mood perfectly. At our reception Ben ran the show! We come from baseball families and we joked that Ben was the catcher of the day- calling the plays and making sure everyone was in their spots. Our arrival to the reception was a little off schedule and he was able to help to work everything out smoothly. 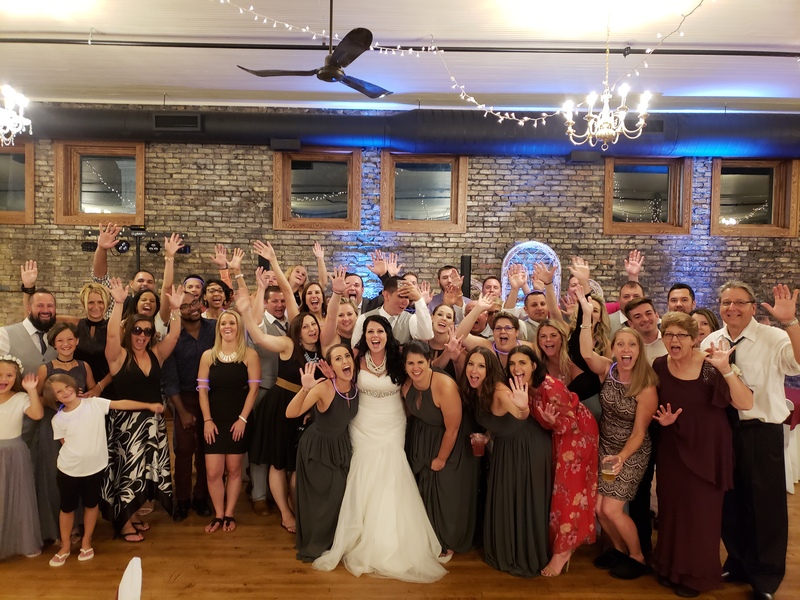 He even went above and beyond and took priceless pictures of our full dance floor and of the large group picture of people who stayed at the reception late. 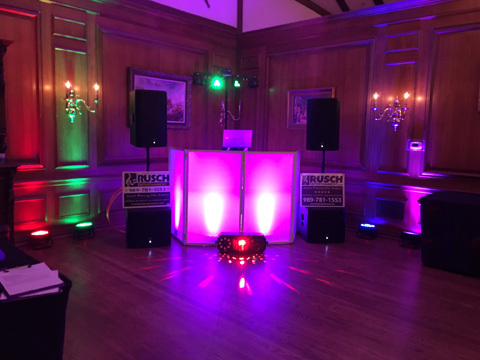 If you book with Rusch Entertainment and are lucky enough to get Ben, he will be sure to give you exactly what you’re looking for! Everything was great for our wedding. 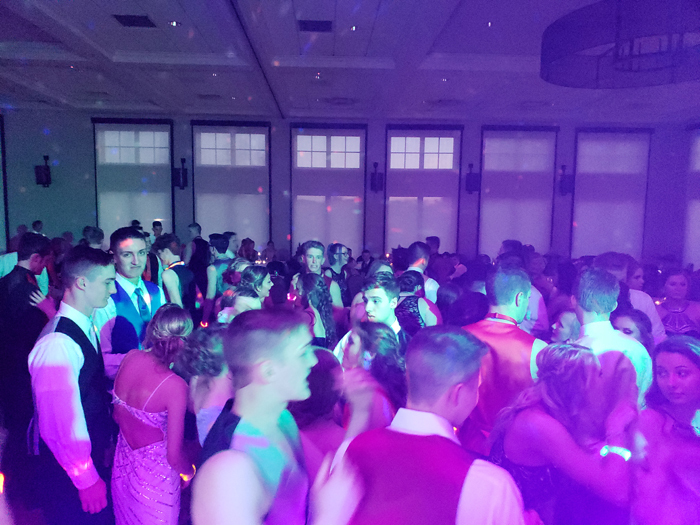 Ben did an awesome job with keeping people on the dance floor. He read the audience well. We had a very diverse group with ages. He was great at communicating with us the week of the wedding. He was very engaging with the crowd including a group picture which we love. He was awesome. 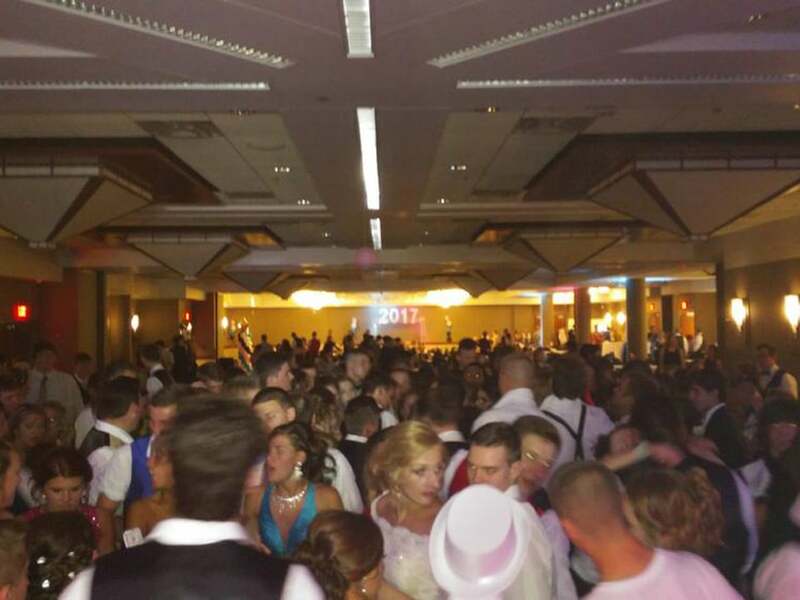 Sincerely, Kristin and Mark Townsend – St. Demetrios Greek Orthodox Hellenic Center with nearly 300 guests! Ben did a beyond terrific job for our wedding! He was very personable, friendly and easy to get along with. He was smiling and having a great time too! He had a lot of great suggestions for the special songs, which helped us choose for the ceremony and reception. He really took into account the feel of the guests and what type of music to play and when. 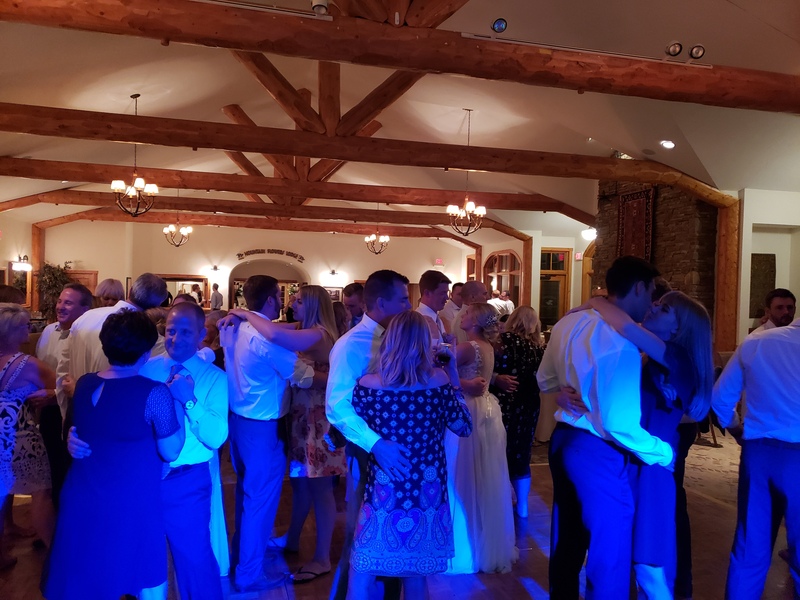 Not only was Ben a great DJ, but he also did most of the planning on how and when we walk up the aisle, stop for photographs, enter the reception, make our speeches, etc. He definitely coordinated with the chaplain and photographers to make sure everything was on schedule and if things weren’t, he made adjustments. 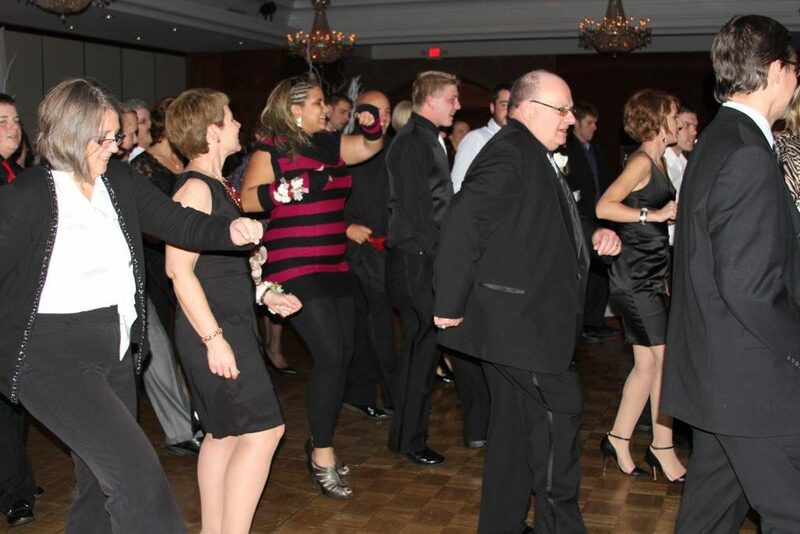 I loved his idea of having us dance in the middle of a circle of the remaining guests to our 1st song again. 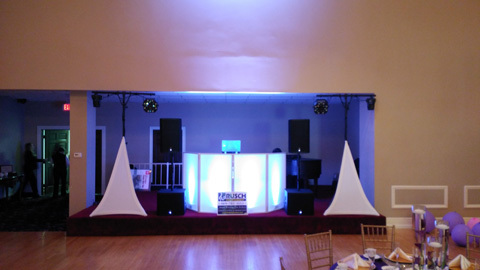 He did such a great job that we were relaxed and did exactly what we wanted to….. enjoyed the evening, had fun & danced! I would highly recommend Ben to anyone. Thank you so much! Hey there! 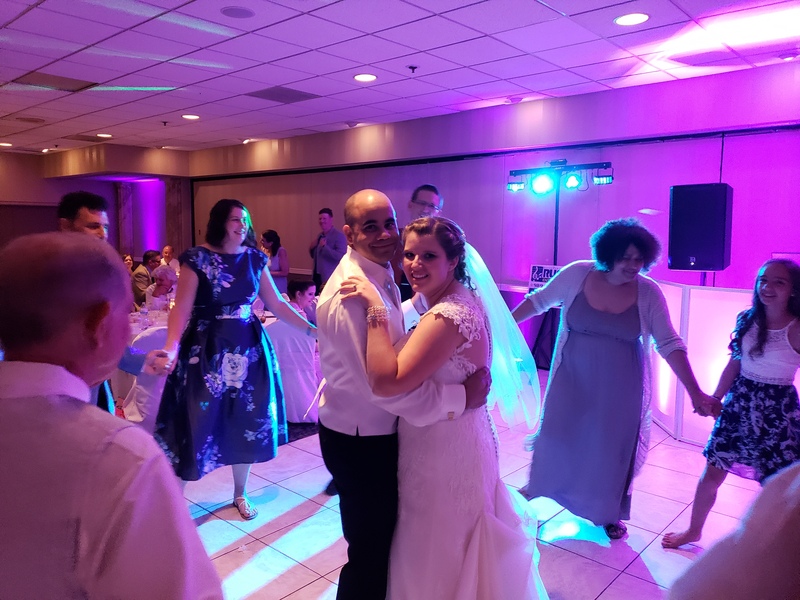 I just wanted to let you know that I was extremely happy with our DJ. Ben did an amazing job, he was very professional and fun at the same time. 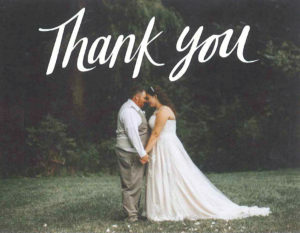 He helped us so much with our wedding timeline and had great recommendations. 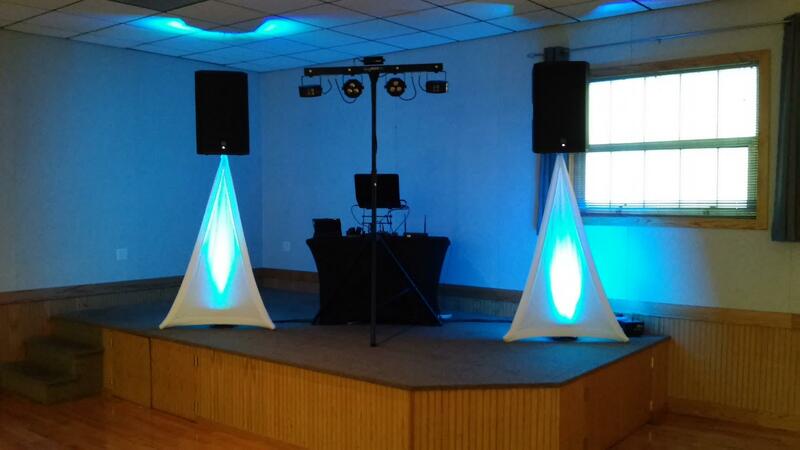 Ben’s setup was wonderful, it was clean and stylish. He was so respectful of my native culture and I think he was excited when we did a round dance. He played all of the silly songs our families had wanted to hear. It really made the wedding run very smooth with how organized he was. I’m so happy we got him to be our DJ. 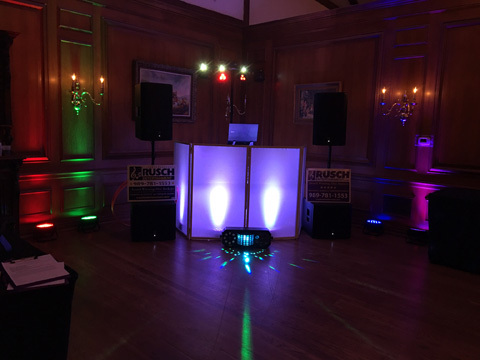 Rusch entertainment in general was amazing to work with. Every email I sent, each phone call I made was answered by humans and everyone was so nice. I would totally recommend Rusch to anyone. He was Fantastic! Ben was awesome! Thanks again. 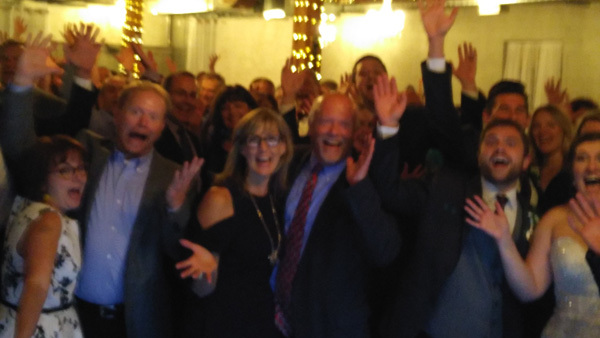 We all had so much fun. 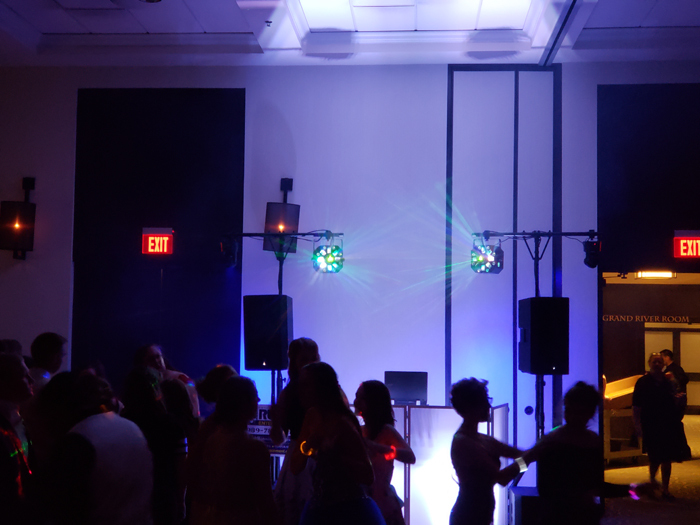 Karaoke DJ with Variety Music for Michigan Women’s Conference! Hi Dean! There were no complaints from the kids – several said they liked what he did for the evening. 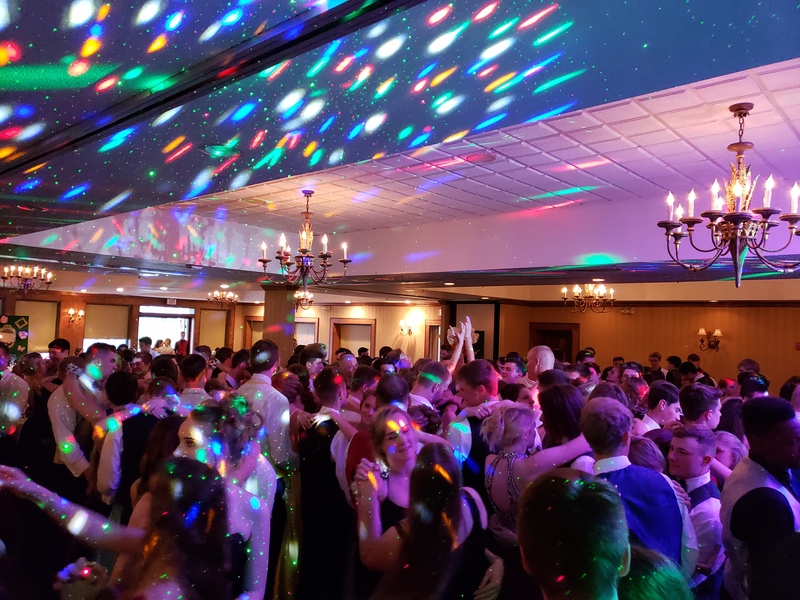 The students (except those busy watching the football game) were mostly in the gym dancing – didn’t see many sitting out often except to cool off! Will plan on having you again in the Fall of 2018, as far as I know now. Will let you know the date of Homecoming when we find out – probably in November or December. 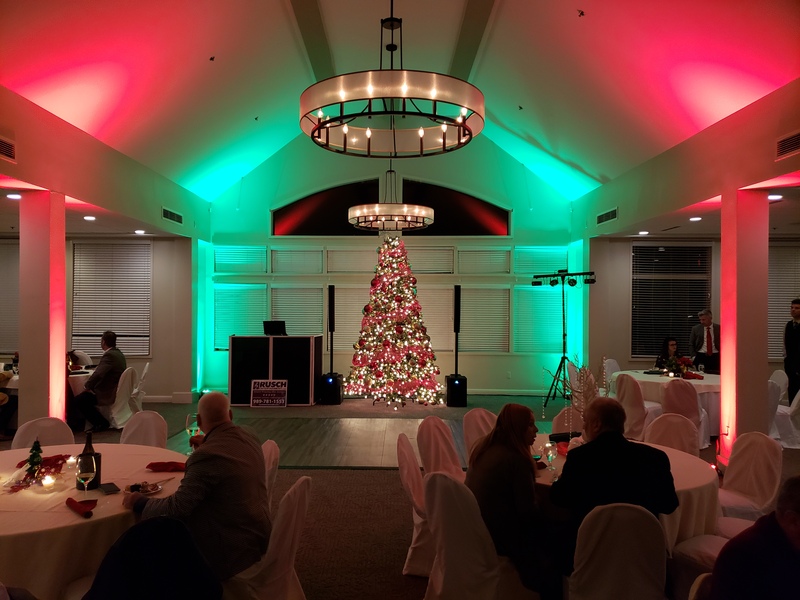 Ben did a great job at our event. 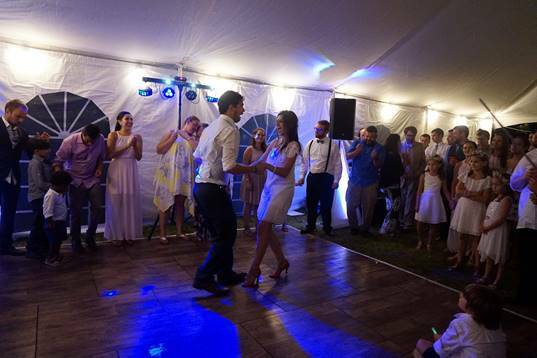 He was good at keeping things flowing on the dance floor. 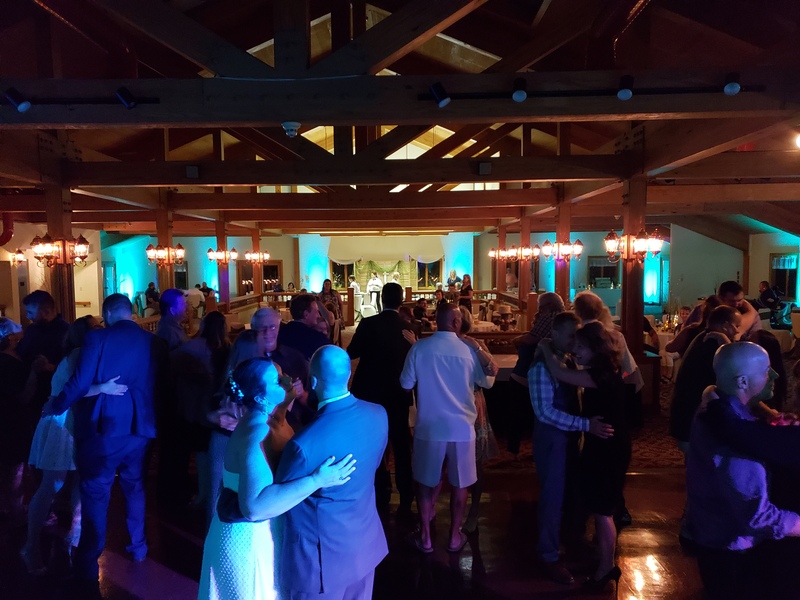 The event was a wedding reception, but it was not a regular reception in that it was held a month after the couple was actually married. 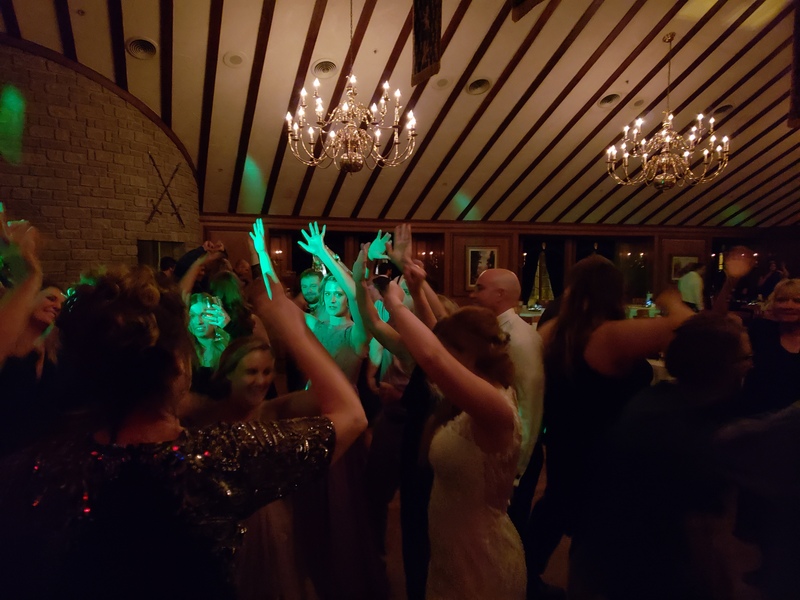 There weren’t all of the traditional toasts and different dances that are usually a part of a wedding reception which the DJ usually uses to get things going. 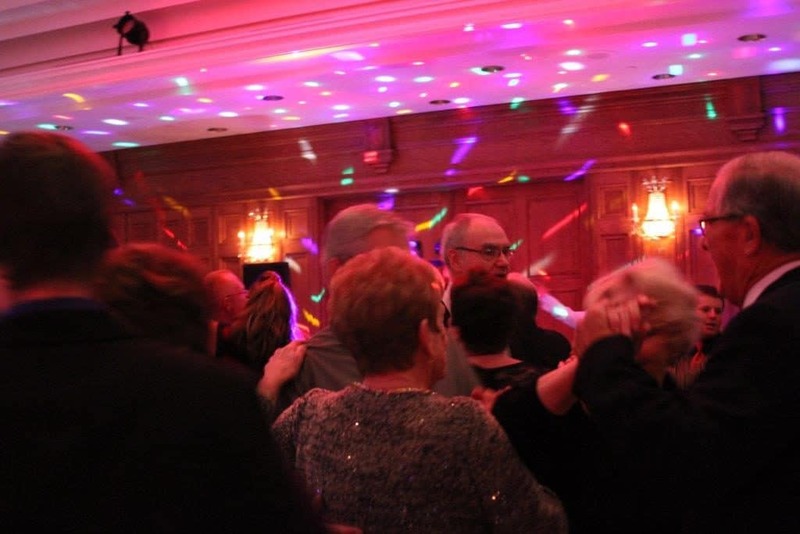 He allowed people to make requests throughout the night and worked all different styles of music into the mix of the evening…even a couple polkas. The quality of the sound was excellent. 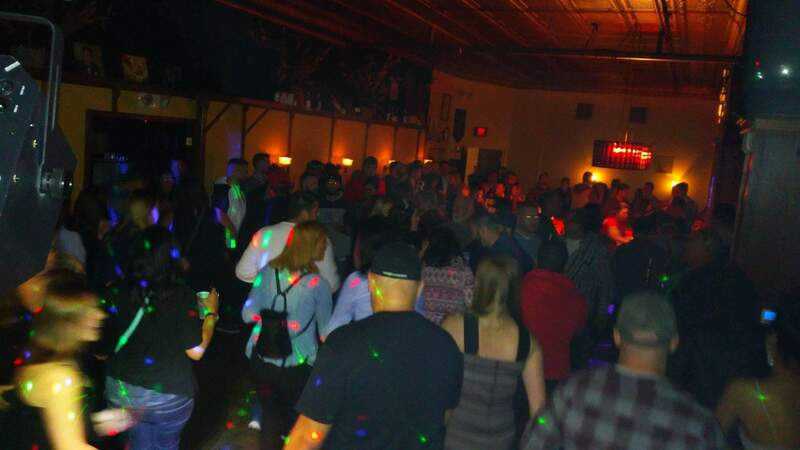 The owner of the building was concerned, because we were the first event to ever be held at the venue. Ben did a great job of filling the room with great sound and people were still able to talk with each other. The quality was also really good without echoes in a room with three cement walls and a cement ceiling. The crowd began to “thin out” early, so we wrapped things up and allowed Ben to leave a little earlier than we had planned. Overall, it was a great evening. 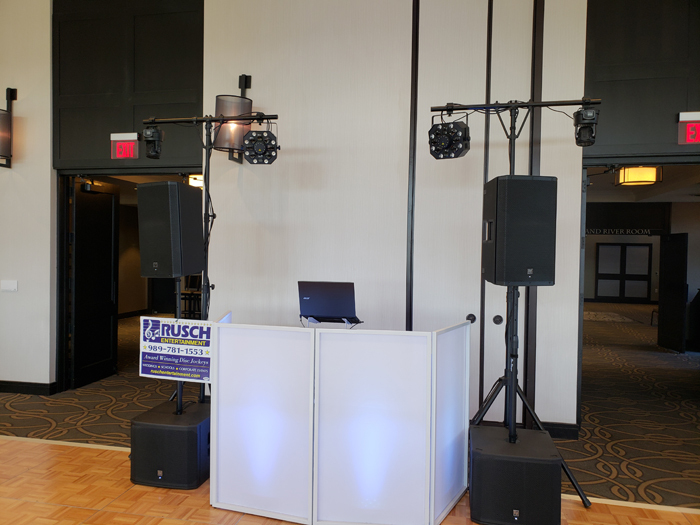 Rusch remains our “go to” company for entertainment needs. 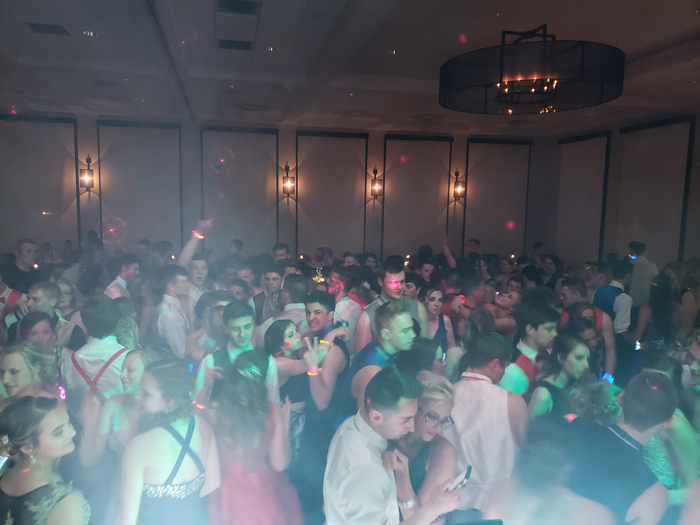 Prom at Saginaw Valley State University Curtis Hall with 300-400 Kids dancing NON-STOP! 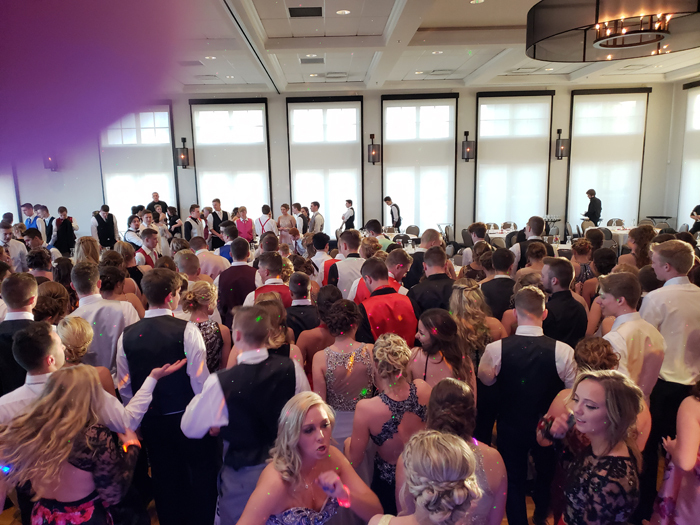 The dance was great. 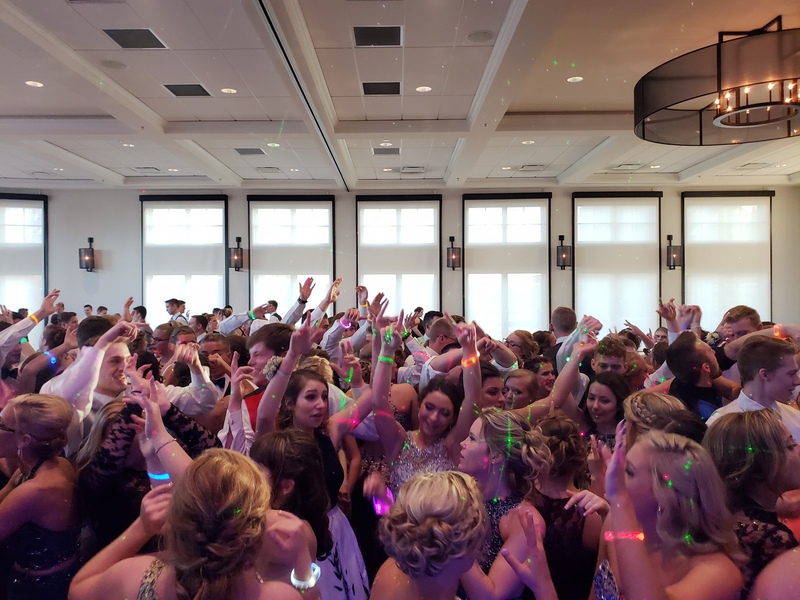 DJ Ben did a wonderful job. Thank you! 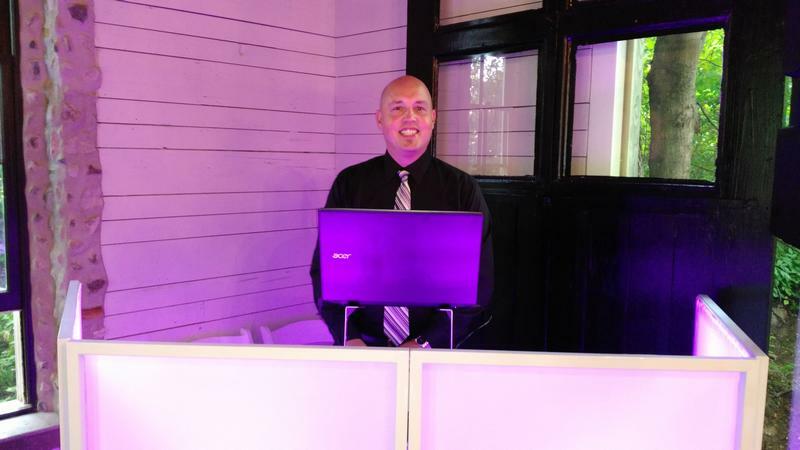 Ben Card was the DJ for my ceremony and the reception at my wedding. 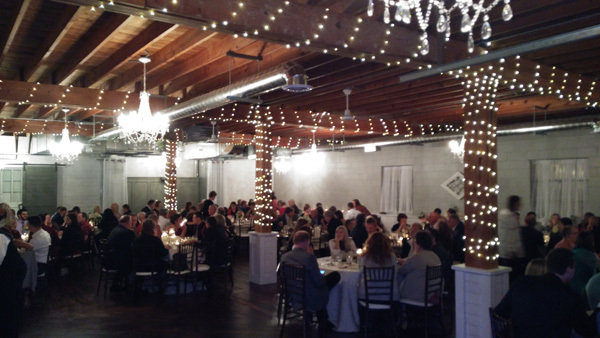 Ben was organized and did an excellent job Coordinating everything and kept the ceremony/reception on track. 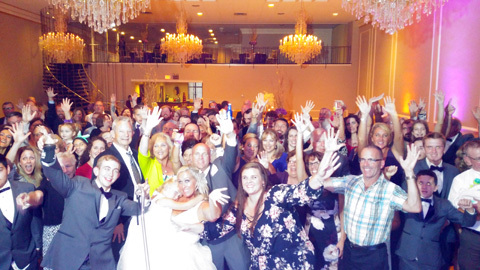 Most of my guests stayed until the end of the wedding reception and complimented on what a great DJ I had. If I had to do it all over again, I would hire Ben Card again. 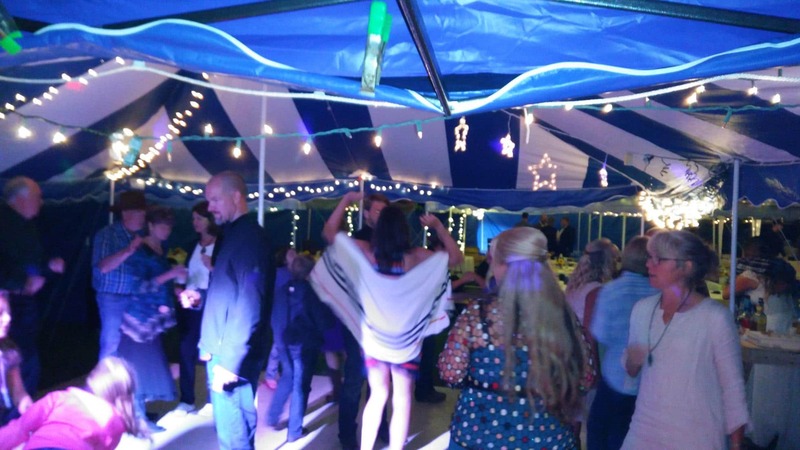 DJ Ben was a fantastic choice for my 40th birthday party. 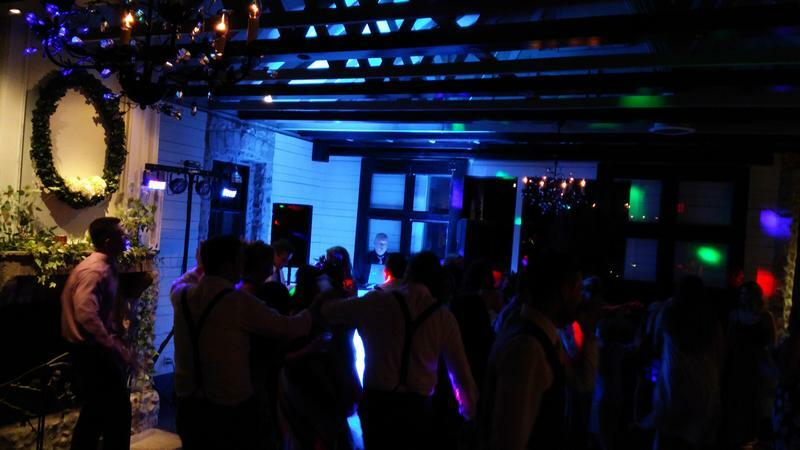 He was professional to work with and did an amazing job creating a fun atmosphere that kept us dancing all night long. 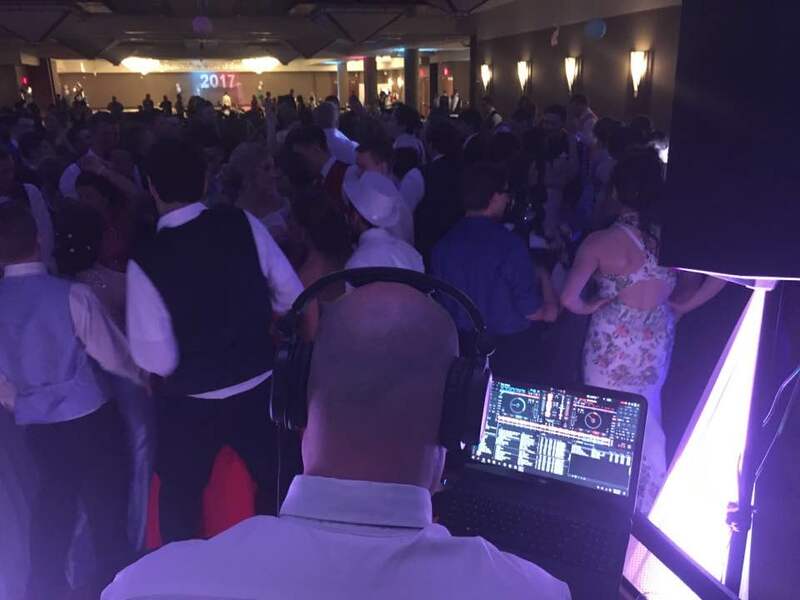 I would highly recommend DJ Ben for any occasion! 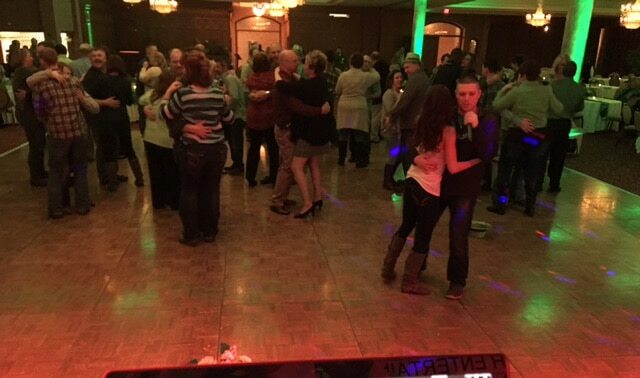 Ben did a great job at our company customer appreciation in December. 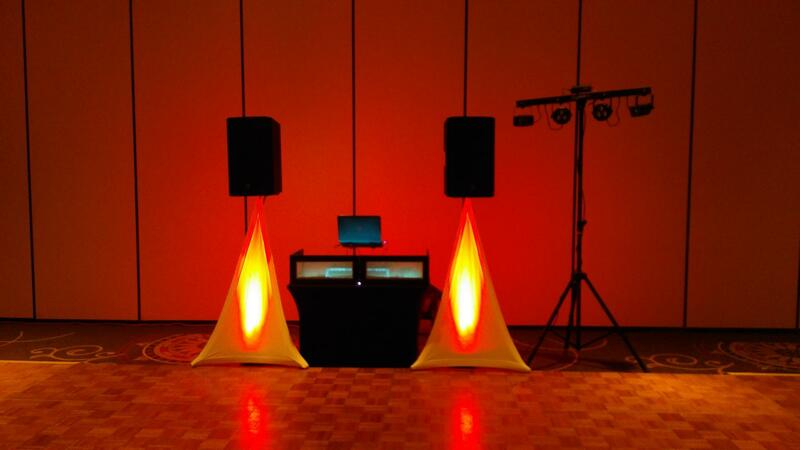 He kept well over 130 guest entertained with quality equipment and great music. We will continue to use him in the future. 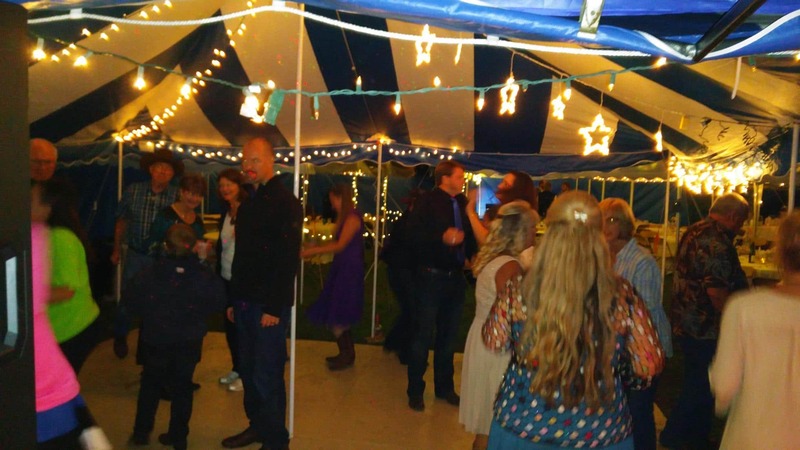 My husband and I planned a somewhat non-traditional wedding; outdoors, backyard BBQ style. Our music for the ceremony and reception was very important to us. 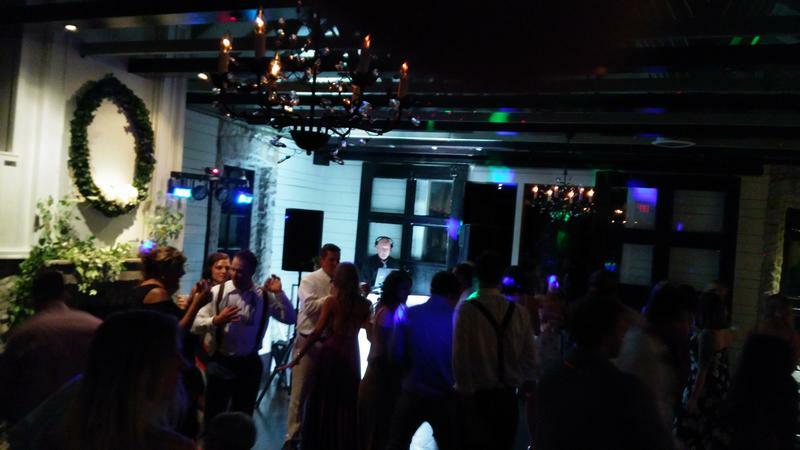 Ben was our DJ and did an exceptional job. 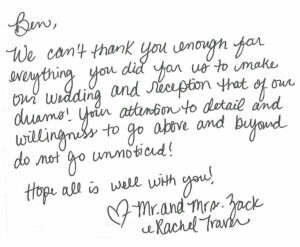 He was involved, very detail-oriented, and what was important to us was important to him; even to the extent of attending our rehearsal and staying later than discussed at the reception. His skill and knowledge made decisions easy and stress-free from set up to tear down. Ben was also easy-going and interactive with our guests. 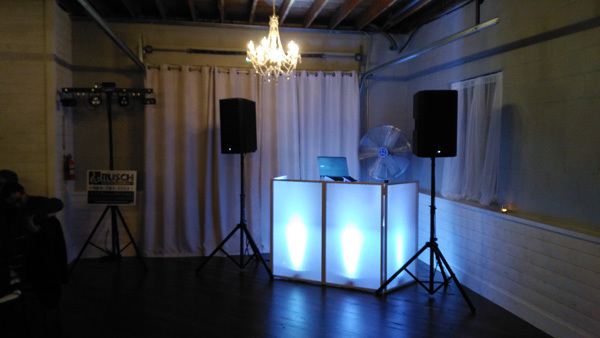 We would hire him for any future event and recommend him to anyone!